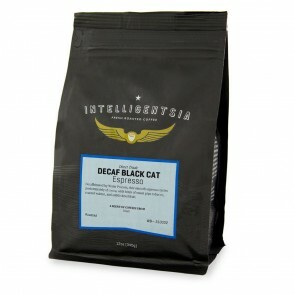 Searching for a new blend of coffee to call your own? Let us offer our assistance. Here on this page, you'll find our Staff Picks collection, featuring the very best of the best as chosen by our staff here at Seattle Coffee Gear. Each coffee blend in our Staff Picks collection has been rigorously taste-tested by our team to make sure that it’s perfect for your cup. By shopping with us, you can ensure that you'll be getting coffee that is backed by folks that know it well. Continue reading to learn more about some of our favorite blends in our Staff Picks collection, and order your coffee here at Seattle Coffee Gear today! Great-tasting coffee is a priority here at Seattle Coffee Gear, and our Staff Picks selection is home to the best of the best. We taste-test every roast that hits our inventory—and the ones we love most end up here. But you won't just find the same old flavors in our Staff Picks. We enjoy a wide range of coffees and always make sure to pick roasts suit every type of taste. Among the many coffee products in our Staff Picks collection, you'll find light, medium and dark roasts, single origins, and blends, as well as organic and fair trade options. Here at Seattle Coffee Gear, we believe that quality coffee shouldn't be hard to pick. When you shop with us, you'll find blends from some of the best coffee roasters around, including Espresso Republic, Olympia Coffee, Stumptown Coffee and many more. Plus, we offer comprehensive coffee guides and customer service to help you get the most out of your online shopping experience. When it comes to great-tasting coffee at affordable prices, we've got you covered.